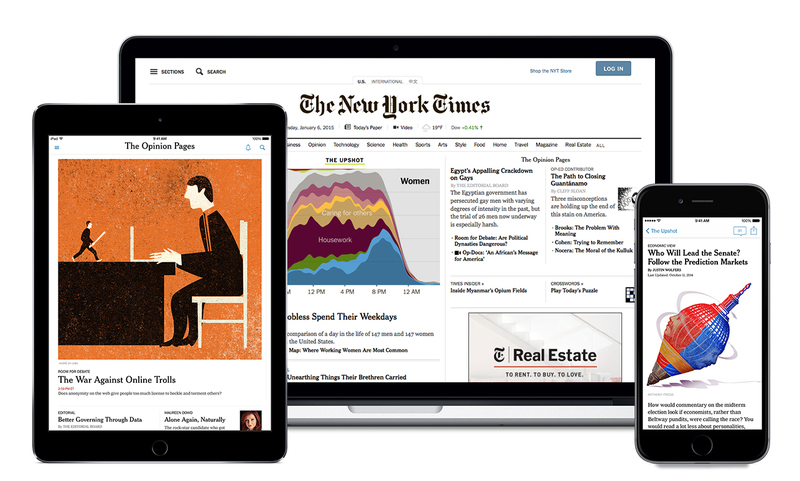 Students and staff now have full access to NYTimes.com and NYT mobile apps, thanks to our OSU Libraries shared subscription! While off campus: visit http://proxy.library.oregonstate.edu/login?url=https://ezmyaccount.nytimes.com/grouppass/redir/xf2 Click on the Login button in the top right corner and then choose create an account. Follow the simple instructions, remembering to use your campus email when setting up your account. We do NOT recommend using your campus password for your NYT account. Once activated, your Pass will provide access to NYTimes.com from any location. Q: I already have a paid subscription, how can I get access through the OSU Libraries subscription? A: You must contact NYT at 1-800-591-9233 or 1-800-698‑4637 and ask that your current subscription be canceled before you will be able to activate your account under the OSU Libraries' subscription. A: You must first activate your account from OSU's network by using the AccessNYT.com link to create an account (see access instructions above if you are accessing from off campus). 3. On campus, click "here" off campus Click Go. Off campus, patrons will be required to login to your proxy. Q: Why am I asked to login on some occasions and not others? A: Your browser cache or history may have cleared itself. Go to NYTimes.com and log back in. Q: Does the OSU Libraries NYT subscription have any restrictions? You must have a valid Oregon State University email address to register. Because of certain copyright restrictions, access to archived articles within the date range 1923-1980 is limited. Within this date range, you may only open 5 PDF articles per day.